At Cannon Hill Smiles, we are network providers for all major health funds. 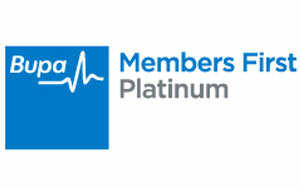 We are the only Bupa Members First Platinum and Medibank Private Members’ Choice Advantage provider in the area. We are also part of the HCF “More for Teeth” program. We are also preferred providers for CBHS and Teacher’s Union Health. If you are a member of any of these health funds, you can rest assured that your out of pocket cost will be kept to a minimum. We have been selected by these funds and have to uphold the very best in quality dental care and customer service standards. We also have agreed to a schedule of fees to these Health funds that are in many cases, lower than what we would otherwise charge. The Health funds also pay you a much higher rebate for all your dental treatment with us than they would at another dentist who isn’t part of their network. This ensures you have peace of mind with regards to the costs of dental care and allows you to budget confidently for your entire family. We are currently also charging NO GAP for all your checkup, cleans and preventative treatments if you are with ANY Health funds. Please see our No Gap Offer for more details. As the only Bupa Members First Platinum Provider in Cannon Hill – our patients do not pay anything out of pocket for preventative treatments including check-ups, cleans and most routine screening x-rays. Further, you will get between 60-100%* back on most treatments with us. However, this will depend on your level of coverage and your annual limits, which you will have to confirm with Bupa. In addition, if you have hospital and extras cover, we can potentially provide your children with “Gap Free” dental for most treatments, leaving you with no out of pocket expenses for your children if they are under your cover with certain policies. This is up to the age of 25 years old. Please be aware that most other dentists are not part of the Bupa Members First Platinum provider network and as such you may have much bigger out of pocket fees with them. As the only Medibank Members’ Choice Advantage Provider in Cannon Hill,- our patients do not pay anything out of pocket for preventative treatments including check-ups, cleans and most routine screening X-rays. You will get significantly higher rebates on most treatments and in addition to this, our treatment costs are much lower. Please be aware that most other dentists are not part of the Medibank Private Member’s Choice Advantage provider network and as such you may have much bigger out of pocket fees with them. We are also preferred providers for CBHS and Teacher’s Union Health. 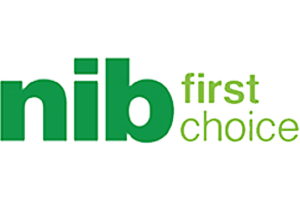 We are a participating smile.com.au dentist as well as an NIB FIRST CHOICE Provider. Cannon Hill Smiles has Hicaps onsite. After the consultation, your health fund card is simply swiped into the HICAPS terminal by our friendly front office team here at Cannon Hill Smiles. Your claim details are entered and in seconds the whole transaction is processed. The whole process is so quick and easy. No more queuing or claim forms to fill in. Next time you visit us, why not ask if you can use HICAPS to claim on the spot. There’s no need to pay the full consultation fee upfront then wait for your benefit to be refunded days or weeks later. Once your claim is authorised by the health fund on the spot, you ONLY pay the gap amount – the difference between the full fee for the treatment and the amount claimed from your health fund.